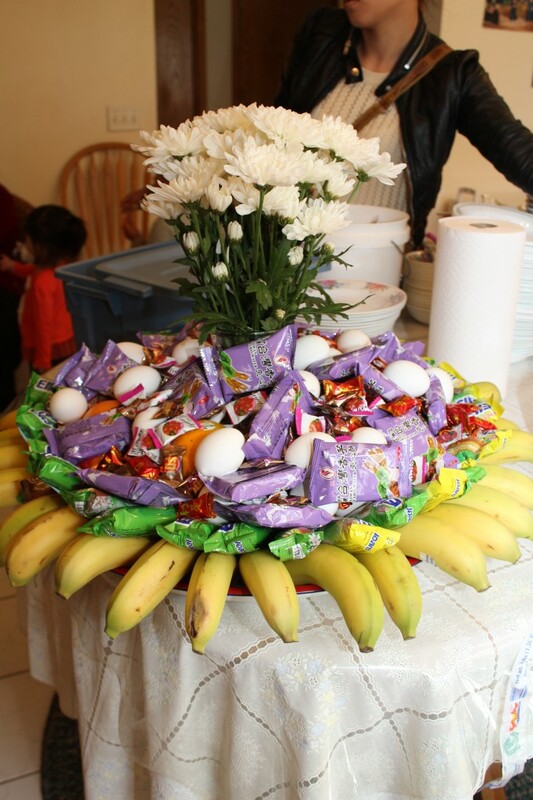 During Hu Plig events, fruits, eggs, and assorted candy and crackers are placed on a tray decoratively. In the middle, there are flowers, usually white to represent cleansing. Koua Her , “A Tray of Goodies for Hu Plig,” Religions in Minnesota, accessed April 18, 2019, http://religionsmn.carleton.edu/items/show/4670.